MondoFoot is a FREE football manager browser game. 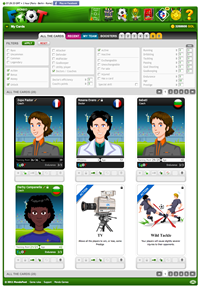 Each player creates a football team, finds the right strategy and participates in the many cups and leagues. The game follows today's football reality with all the rules, player behaviour and strategies, which you can see in the best teams. 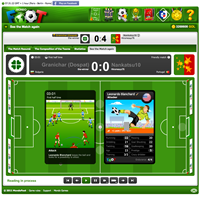 In addition to the usual football management experience, offered in most games, MondoFoot delivers exclusive fantasy elements which bring the genre to a whole new level. Each character in MondoFoot is represented as a card with multiple skills. 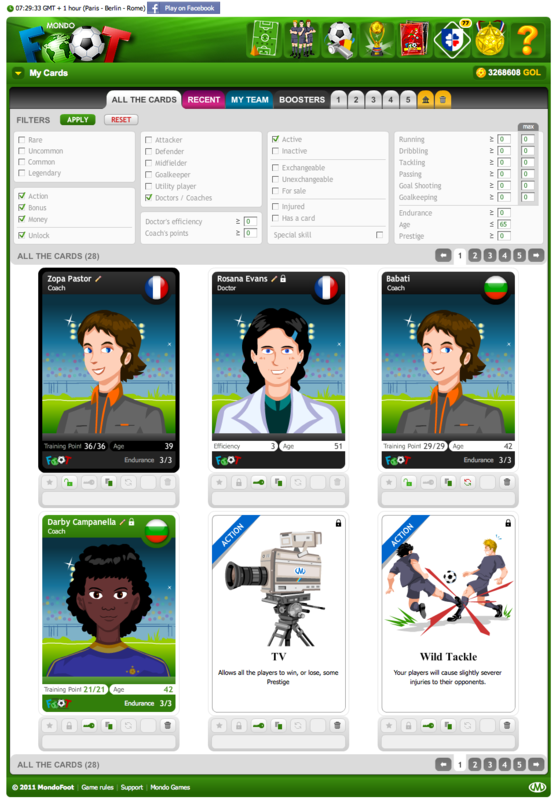 The game starts with 33 cards, representing a full team and staff. 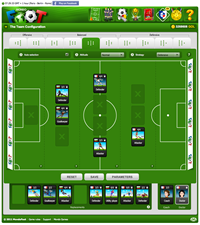 Then, the player should train and select the best strategy and team configuration. The footballers improve their skills with every played match. It is possible to exchange cards with other players, buy new ones or even "engineer" some. 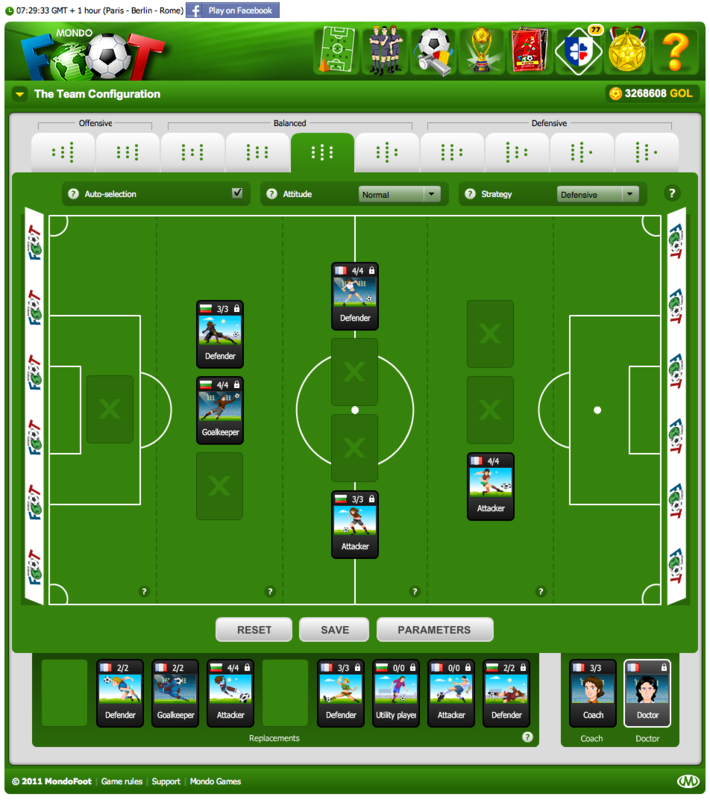 The player can watch every match in real time with his friends and modify strategy at half time. The ultimate goal in the game is winning the World Cup. But the player can register for many other competitions along the way. There are National Leagues and National Cups for EVERY country in the world, Continental Cups and additional tournaments. Being a winner in MondoFoot does not take only a great team, but also good strategic thinking and skillful combination of all the fantasy elements in the game. 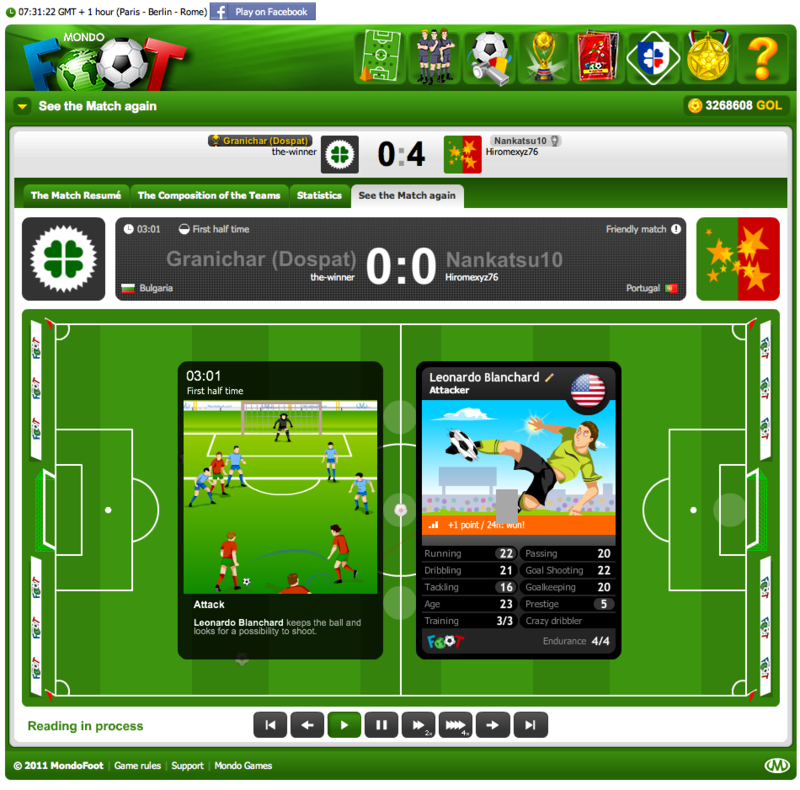 MondoFoot also provides options to play friendly matches against other users from all around the world. The player can also simply challenge his best friend to a good old time kick-off. We can offer you as much football as your community needs. Currently, there are players in the game, who play over 50 matches a day! FREE GAME, NO INSTALLATION NEEDED. Possibility to play with men, women or mixed teams! Football management game full of humor. Dynamic skill system for the players. Possibility to observe live matches! Many Leagues and Cups available, as well as options to play against numerous players worldwide.